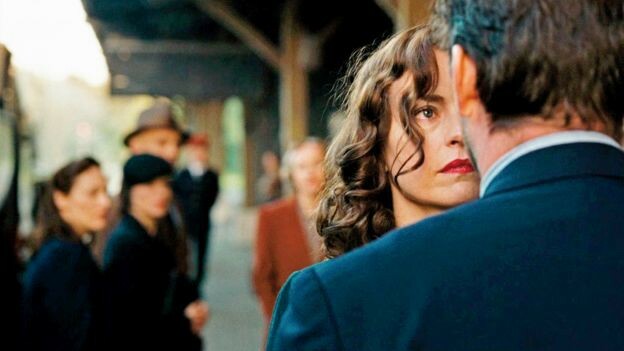 I have always been a big fan of the nuances Nina Hoss (A Woman In Berlin, Barbara) brings to roles in some of the best films I’ve watched about events during WWII especially about the Holocaust, and the stories that have touched us. Schindler’s List, The Boy In The Striped Pajamas, The Counterfeiter. Few films have explored lives and experiences of survivors post-Holocaust, barring a few directors such as Lilliana Cavani’s with her film “Night Porter“. 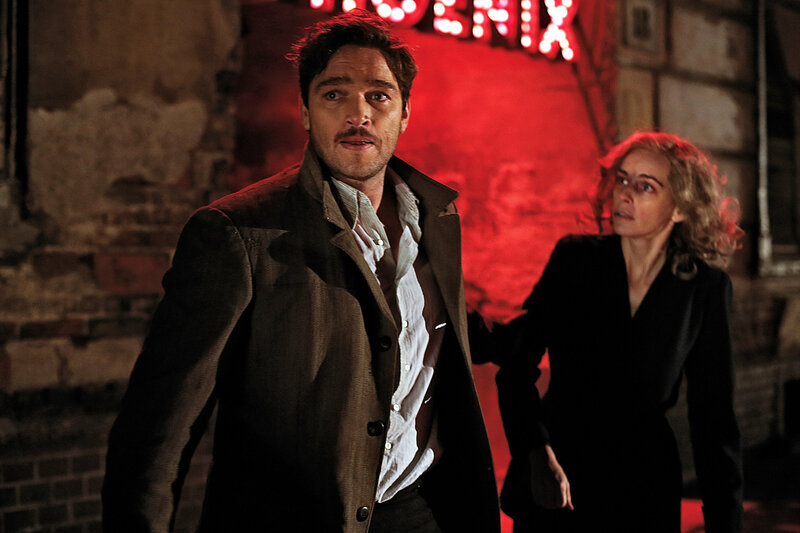 PHOENIX is one such amazing film with an equally amazing twist. 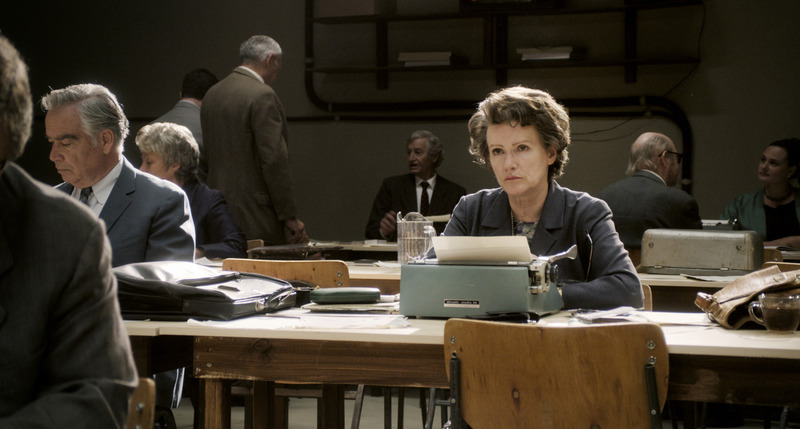 Director Christian Piezold’s earlier film was, a ’80s-era East German period piece, “Barbara,” won best director at the Berlin Film Festival and represented Germany in the 2012 foreign-language Oscar race. 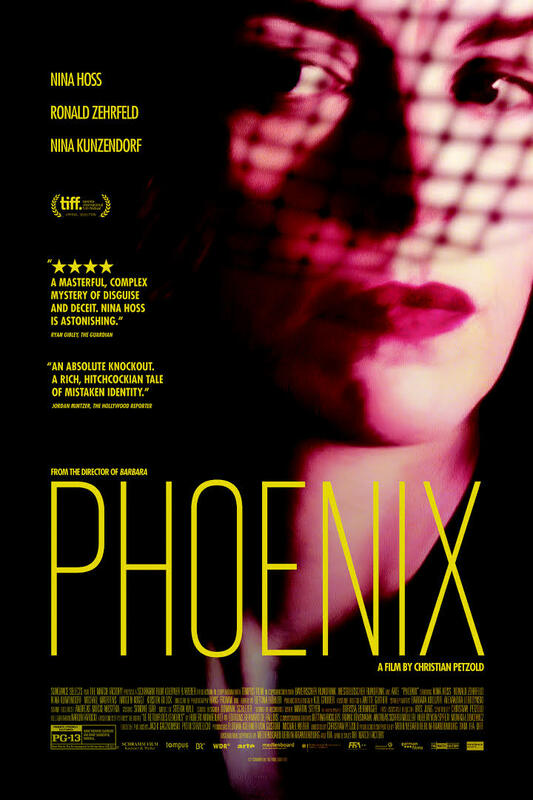 PHOENIX was made in the tradition of postwar noir films, in which thick shadows envelop the ruined remains of once great cities and the people living lives with what they had just to keep living on. The script is by Petzold and Harun Farocki, adapted from French crime writer Hubert Monteilhet’s 1963 novel Return From the Ashes (also the source material for a 1965 film starring Maximilian Schell and Samantha Eggar). PHOENIX is the name of a Berlin nightclub in the American sector whose neon sign casts a supernova of blood-red light. 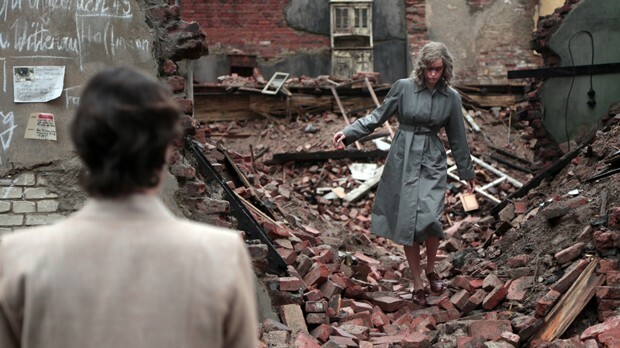 The story is about Nelly Lenz, a Jewish singer who emerges from the living hell of Auschwitz, with a lost career, her non-Jewish husband Johnny (a German piano player at the Phoenix), and now also her very appearance thanks to the Nazis. Nelly made it out of Auschwitz alive, but with a badly disfigured face (the result of a gunshot wound). It’s 1945. Accompanied by her friend Lene (Nina Kunzendorf), she travels to a clinic for reconstructive surgery, where she’s told that she can choose any sort of face she wants (including that of Jewish Austrian screen siren Hedy Lamarr) — a new face for a new Germany, as it were. But Nelly stubbornly insists that she wants to look just as she did before the war, as a popular chanteuse and married to Johnny. (Earlier Johnny had been taken in for questioning by the SS. Two days later, he was released. Nelly was transported to a concentration camp. The film leaves unsaid if its Johnny who may have betrayed Nelly to the Nazis to save his own skin). After reconstructive surgery, Nelly emerges with a new face, one similar but different enough that her former husband, Johnny (Ronald Zehrfeld), doesn’t recognize her. Nelly also shares an apartment with Lene who toils away in the Hall Of Jewish Records cataloguing the dead. 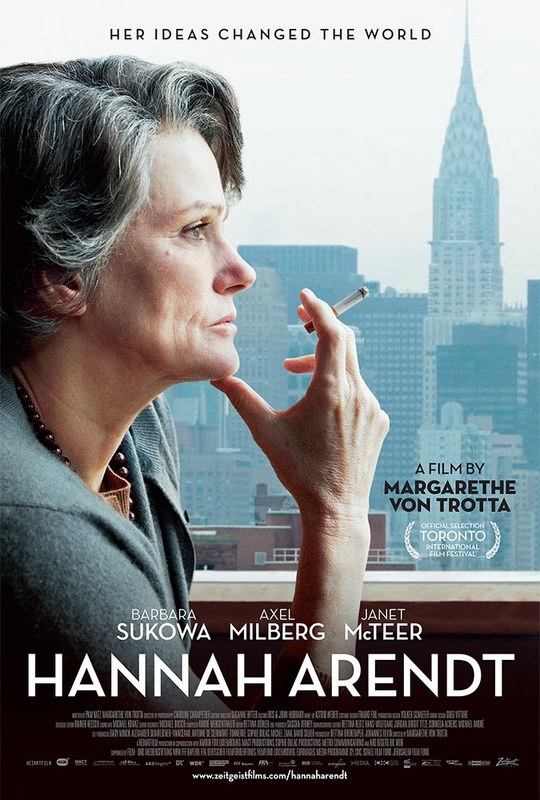 Lene insists that it was Johnny who gave Nelly up to the Nazis to save his own life and that she should leave Germany for Haifa, where there’s an apartment waiting for her. Despite Lene’s objections, Nelly chooses to return to Berlin seeking out Johnny. She is a shattered woman in a city of rubble. Johnny is eager to get his hands on her estate, which is being held by Allied authorities. He’s sure his wife is dead. Failing to recognize Nelly right in front of him, he notices a coincidental resemblance, which he decides to exploit for an elaborate ruse. He thinks she looks enough like his wife to be able — with the right clothes and hair and walk and way of speaking — to pass herself off as Nelly and collect Nelly’s substantial inheritance. Rather than reveal herself, Nelly walks into a dangerous game of duplicity and disguise as she tries to figure out if the man she loves may have betrayed her to the Nazis. By rehearsing the way Nelly dressed and walked, Johnny’s plan is they will stage a reunion for the benefit of their old friends, collect the cash, split it and go their separate ways. And the dazed Nelly allows him to coach her. As they move forward its apparent while Nelly tries futilely to reclaim a lost past, Johnny runs just as far in the opposite direction, seeking to wipe the historical record clean of what he was really up to during the war. Time and again, Johnny comes close to picking up on the truth — it’s a measure of the subtlety of Zehrfeld’s performance that he conveys these glimmers of recognition with nothing more than a faint shift in his glance. Johnny sees only what he wants to see, and he’s a mystery Nelly must solve for herself. She puts every piece together in Phoenix‘s jaw-dropping final scene.